Dustin Johnson's 69 showed the toughness of the Copperhead course. 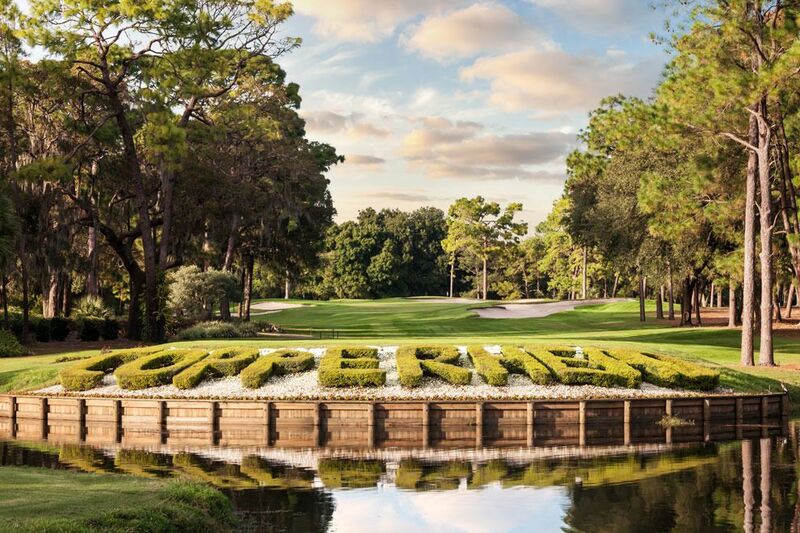 The Copperhead course at Innisbrook Resort is very skilled in the art of self-defense. Amateurs who show up as resort guests better play the shorter tees, otherwise they have no chance. When the boys from the PGA Tour show up like they have this week, they better drive it in the fairway — simple as that. This golf is a Florida anomaly. It’s totally out of place with towering pine trees and get this — elevations. Yes there are hills in the land of flat. There are towering pines in the land of palm trees. Oh yes and there’s that four-inch rough — Phil Mickelson would never show up at the Valspar. They managed to get Dustin Johnson and a few big names this week despite the fact that the PGA Tour totally screwed this event — sandwiching it in between The Players and the WGC Match Play. Sorry paint company. Despite that, Valspar actually re-upped as the tournament sponsor for another five years. What a great business model! Screw your clients and they throw even more money at you! Any, back to Innisbrook. Scenery is spectacular. If you’re an Osprey or an Bald Eagle, this is your habitat. Fox squirrels look like normal squirrels on steroids and pad their bellies by raiding food from golf carts of unsuspecting tourists. This week, the nature is spectating while most of the tour players, as usual, struggle on this lot. Pretty much the same during Thursday’s first round. It was picture-perfect, chamber of commerce weather with some cool winds picking up in the afternoon, making things even tougher. Just ask Patrick Reed. Your Masters champion shot a nifty 77. He’s just switched irons from Callaway to Titleist. Seems he wore out his Callaways and got goo-goo eyes for the Titleist irons. He has no equipment sponsor — imagine that — so he’s basically free to carry a mixed bag and that’s what he does. Still, six-over par, tied for 135th, a Friday exit looking very probable. The world’s No. 1 broke fast out of the blocks. D.J., who should be able to man-handle any course, was three-under after eight holes and looking every bit like a first-round leader. A sloppy bogey at the not-so-difficult ninth got him going in the wrong direction. He managed just one birdie on the back nine, offset it with a bogey and his 69 was nothing to celebrate but a first round score like that keeps you right in the hunt at this place. The leaders are no household names. Joel Dahmen’s been popping up on the boards now and then, early in tournaments and Sepp Straka is the only tour member from Austria. Those guys got out early Thursday when the wind hadn’t shown up and managed to shoot 66s, five under on his par 71. Bubba Watson doesn’t have enough room to play his looping hooks and slices on a lot of these holes but managed to tie D.J. So did Jim Furyk, who gave himself new life on tour at The Players last week. Jon, listen to your caddie, Rahm, shot 71. You’d think he’d play better, but like we said, this track knows how to defend itself. Long hitters have no advantage at The Copperhead. Gary Woodland shot 74 and that was bad enough to tie him with that 17-year-old amateur from North Carolina — Akshay Bhatia — who thumbed his nose at this field of professionals by declaring he was showing up to win. Yeah, right kid. Young Akshay found out this isn’t junior golf. He bogeyed three of his last four holes Thursday. He was just another snake-bite victim. And you get a lot of that out there. Askay Bhatin: Is He A Little Bit Overconfident?